While listening to a PBS report on NPR back in February, I learned about an organization in New York City called the Harmony Program. They serve students from 3rd-6th grade in a free after school music program. The children were preparing that day for a concert with accomplished singer and conductor, Placido Domingo. Students participating in the program are given free instruments and instruction daily after school. Over the course of the school year, they receive more than 300 hours of group instruction. While this is astonishing, the even better part is that this program helps engage children who might otherwise fall victim to the ills of street life plagued by many low-income neighborhoods. The Harmony Program is wonderful, but the original idea came from an organization called EL SISTEMA that was founded by José Antonio Abreu in Venezuela back in 1975. This organization has touched more than 300,000 students with free music instruction including some children with disabilities. For me though, the best part of the report was when one of the students said “Sometimes its hard not to smile…when I play that first note in class, it makes me smile.” Says Joshua Deshommes, a fifth grader at P.S. 152. His statement shows just how enjoyable the study of music can be and how valuable a music program is in children’s lives. Students also learn to become self-reliant and build their self-confidence in other areas of school as well. 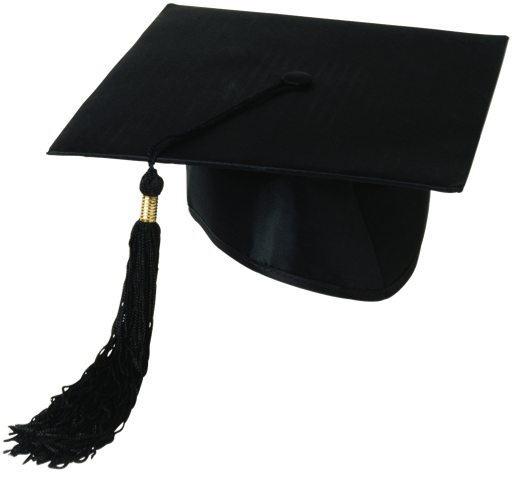 It has been observed that students in the program attend school more regularly and have higher marks than those not enrolled. Don’t you wish every school could have a program like this that was so concerned with building the whole child? Educators of Kindermusik curriculum are just that, concerned with whole-child development. Come find out for yourself how I can help you with your child’s development. 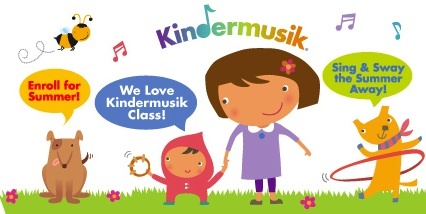 You can preview a Kindermusik With Dominique class for Free anytime. A new session of classes is set to begin mid-May. Two exciting announcements this week! 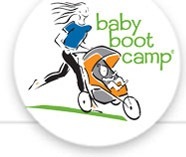 First, if you recently had a baby or are just looking for a great way to exercise with your child, then Baby Boot Camp may be an option for you. Jessica Goodwin of Baby Boot Camp in Mountain View, CA will have her Grand Opening event and first class on April 28, 2012 at 9:30 a.m. at Shoreline Park & Lake. Come out for a great class, and sample products from Zico, Pirate’s Booty and Happy Baby. There will also be a ton of giveaways, including a gift box from Citrus Lane! You could also win items such as a $35 Gift card to The Blues Jean Bar, Stella and Dot, Baby Boot Camp apparel and a Best of Kindermusik CD. Kindermusik with Dominique will also be on hand for a FREE Demo class following boot camp, so stick around for some music and movement fun. To RSVP for the event, contact jessica.goodwin@babybootcamp.com. If you cannot make the Kindermusik with Dominique Demo portion, you can always preview a class for Free anytime by contacting me directly at dsfranklin@gmail.com. The other announcement comes from a Mountain View based non-profit, Music for Minors. I have worked directly with this organization teaching music to a bilingual K/1 class at Canoas Elementary in San Jose since last year and have found it to be a very rewarding experience. Well what is MFM you ask? 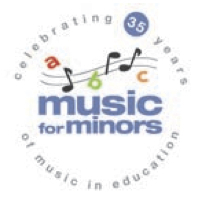 MFM is a non-profit organization dedicated to keeping music alive in schools. One of the ways they achieve this is through their Volunteer Educator Program. Adults from the area are trained to provide at least a half hour of sequential music instruction per week in their assigned K-4 grade. Volunteers provide this service all throughout Santa Clara and San Mateo Counties. The training program takes place every September to November and recruitment is now open. You don’t have to be an amazing singer, trained musician or have studied music in the past, but if you have spare time (30 min instruction and prep time a week) and enjoy children, than you can make a difference in the lives or others. Contact MFM for more information about the Volunteer Educator Program and to sign-up.